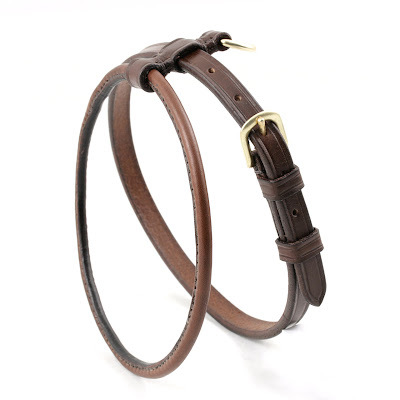 Conker leather and solid brass for this small and valuable harness. 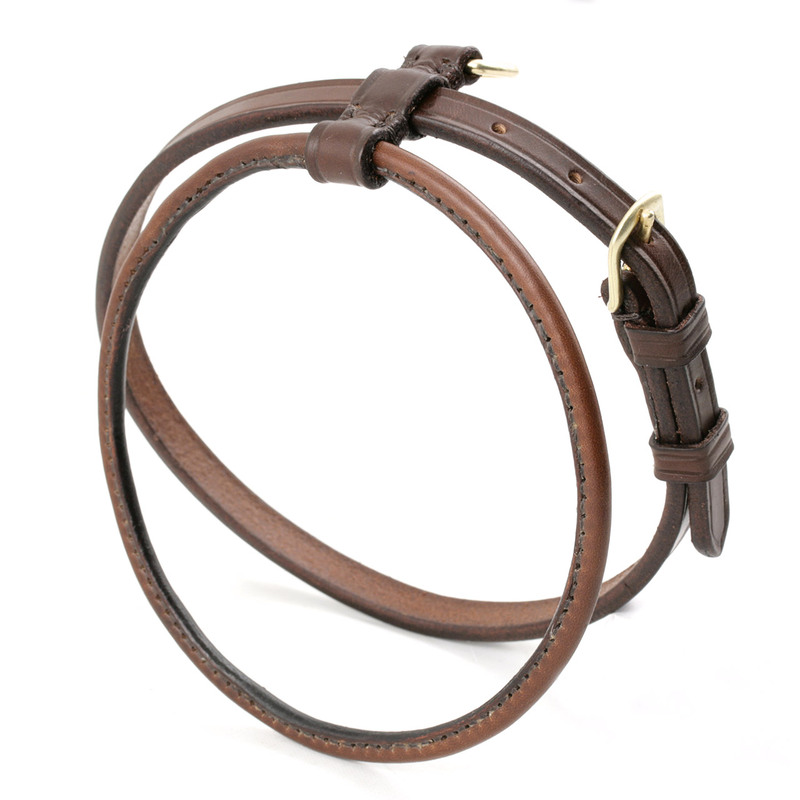 5/8" dee and 1/2" buckle, rolled part (the shoulders one) is made with a thinned 5/8" strap and filled with a fine but strong braided rope. The hue difference between the flat parts and the rolled one is because "rolled is rolled": same leather, but rolled is stretched during the sewing process as well when passed through the rein rounder.